By now we all know that colored diamonds can come in all the colors of the spectrum, but... did you know that there is a diamond category that can change its color? 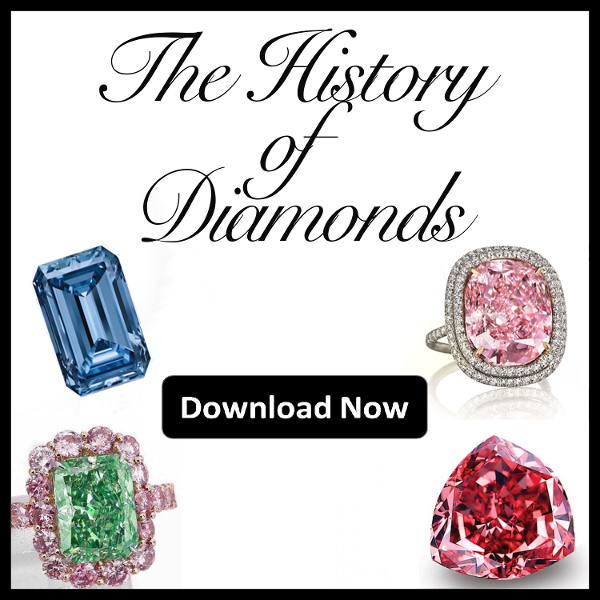 These stones are more famously known as chameleon diamonds, and in this article we will be answering the 9 most common questions regarding these beautiful and enigmatic stones. Where were these stones first discovered? What geographic region do these diamonds come from? What does a chameleon diamond actually look like? What causes their color to change? Are there different types of chameleon diamond? Is the color change reversible? How can a chameleon diamond be identified? Are there any famous chameleon diamonds? Should you invest in these stones? When were these stones first discovered? 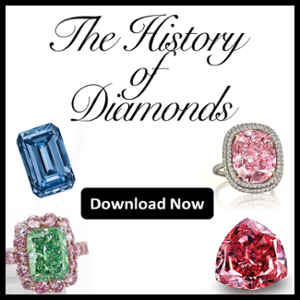 Surely, an oddity such as a colored diamond changing its hue might seem like a new discovery, especially since these gems have not seen immense publicity; however their history dates back to the middle of the 20th century. It was Peter Kaplan who first recorded a chameleon diamond back in 1943. By complete accident, he noticed that a diamond that was resting on a hot polishing wheel begun to slowly change its hue. Since then, these stones have attracted the attention of gemologists, and were given a color category of their own. Where do these stones originate from? While exact origins remain unknown, research has shown that approximately 40% of chameleon diamonds have been purchased in India, 30% were bought in Tel Aviv, and the final 30% is said to have been bought in Antwerp. 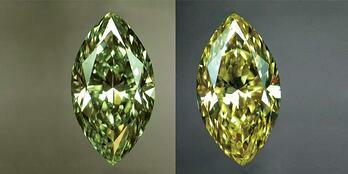 Initially chameleon diamonds look no different than any other olive toned or green diamond. In fact the only colors that chameleon diamonds can have are various intensities of green, yellow, grey, and brown. Speaking of intensity, these stones can also never exist as Intense or Vivid. Finally, chameleon diamonds always possess fluorescence. What causes the change in color? We are certain that this question has been on your mind since the title, but in all honesty gemologists are still not 100% certain as to what causes these diamonds to change their color; there are however theories. The first is the theory of “thermochromism”, where the stone changes its color as a response to heat. The second is the theory of “photochromism”, where the stone alters hue in response to light. While both of these cause color changes, it should also be noted that chameleon diamonds have unusually high concentrations of hydrogen, while also including nitrogen, and even nickel impurities in their crystal structure, whose combined reaction can be responsible for hue alterations. Finally, there are some gemologists who believe that the gems have very strong phosphorescent and luminescent properties, which can also play a significant role in how their color is perceived under certain circumstances. Whichever the case, just like with real chameleons, the change in hue is always fascinating to watch and admire. Are there different kinds of chameleon diamond? Interestingly enough the answer to the above question is yes. "Normal or classic chameleon diamonds" tend to shift to a darker hue when exposed to high heat or when placed in an area with reduced lighting. There are however "reverse chameleon diamonds," which as you might have already figured out have the inversely related interactions. These stones turn into a much lighter hue when exposed to high temperatures or lack of lighting. Yes. These diamonds ultimately revert back to their initial state once their environment has returned to normal. It should also be mentioned that the color change does not cause any damage to the stone. How can a true chameleon diamond be identified? As we mentioned above, in “normal” circumstances these stones look no different than shaded olive green, diamonds, so is there a way to distinguish them with the naked eye? The answer would probably be no, not initially. The only way to distinguish these diamonds from normal colored stones is exposure to extreme heat. A normal green diamond will indeed change its color under intense temperatures but the change will be permanent, where as a chameleon diamond will eventually revert back to its normal hue (as mentioned above). As mentioned previously these diamonds are exceptionally rare, and oftentimes hard to distinguish, however there have been some notable appearances. The first and probably most famous is the oval cut, Chopard Chameleon Diamond. Apart from having remarkable clarity and color gradings, it is also the largest stone of its kind, weighing in at 31.32 carats. Another notable stone, despite not having an official name, another notable stone is a radiant cut, 8.04 carat diamonds that was graded by the GIA as having a fancy dark grey green chameleon color. The stone, is set in a beautiful rose gold ring, accentuated by a frame of small pink diamonds. The entire piece is said to be worth approximately $2.1 million. Should I invest in a Chameleon Diamond? We established that chameleon diamonds are rare, and while they can potentially achieve pretty respectable prices, it is hard for them to compete with investment grade pink, blue, and red diamonds. Having said that however, be it for collecting or investing purposes, note that the 4C's apply here as well, so a higher quality stone will of course yield much higher prices. Whichever your decision, be it to purchase a stone or admire it from a distance, there is one thing we can all agree on, and that is that these stones are as breathtaking as they are enigmatic. Do you have any further questions? What is your opinion on chameleon diamonds? Let us know! And as always feel free to follow us on Twitter and LinkedIn. 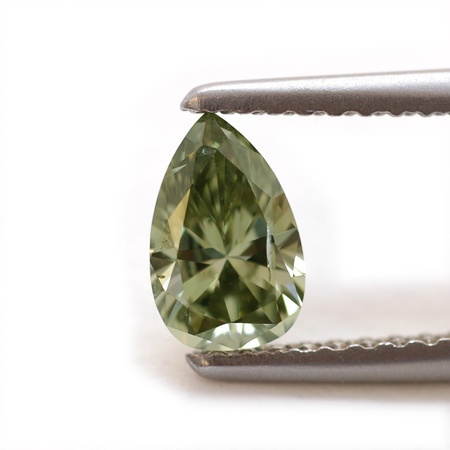 Are Green Diamonds for Investing or Collecting?